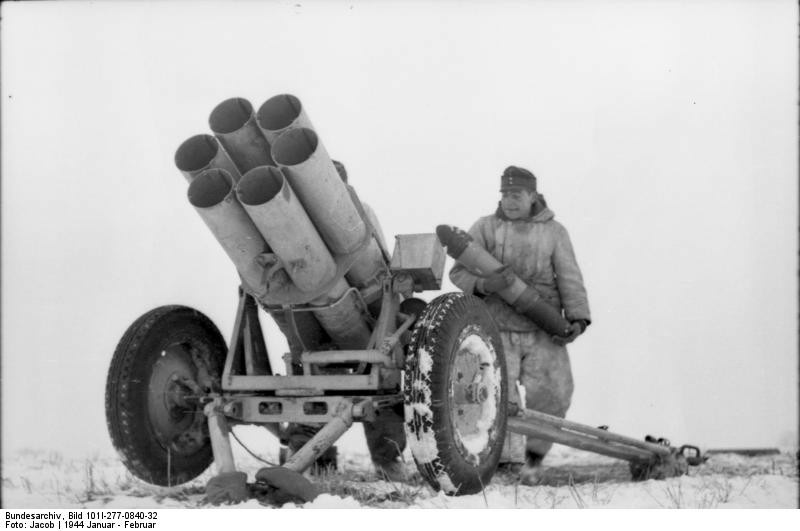 Notes The 15cm NbW 41 was the first multi barrelled version of the Nebelwerfer to be issued to front line units. The first launchers appeared in late 1940 and were in full operation by 1941. It was mounted on the same carriage as the PaK 36 and this made it light and manoeuvrable. It was capable of firing six 150mm rockets in just 10 seconds, and a trained crew could fire three salvos in five minutes. They were formed in independent Werfer regiments.